Adding variety to our range is the classic range of natural stones with golden polish. These stones are used for wall-cladding, roofing, flooring and all other types of interior & exterior applications depending upon the requirement s of the clients. We are ranked amongst the most trusted firms deeply engaged in offering a wide range of Grey Slate. Backed by rich industry experience and market understanding, we are involved in offering a wide array of Indian Autumn Slate Stone to our valued patrons. Copper Red Polished Slate is a very attractive and elegant natural stone. It adds a touch of style and grace to the decor. 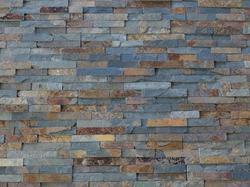 We are prominent and trusted industry engaged in providing a wide range of Kund Multi Slate Tile. 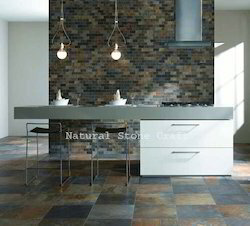 The Kund Multi Slate Tile we offer is used for flooring, wall and many more purposes. Our offered product is widely demanded for their superior quality and long lasting finish. When ocean or riverbed sediments are compressed and heated by the earth's crust, slate gets created. This unique creation is reflected in this collection. It's qualities and appearance are often preferred over any man-made product. These tiles have distinctive shades and patterns that give natural variations, hence no two tiles look similar.